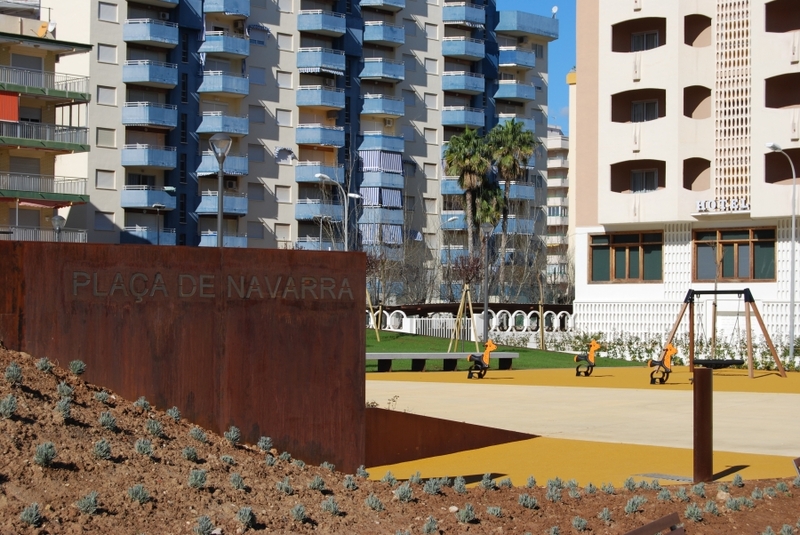 The Navarra square is projected on top of an underground rainwater tank one block away from Gandia’s seafront. 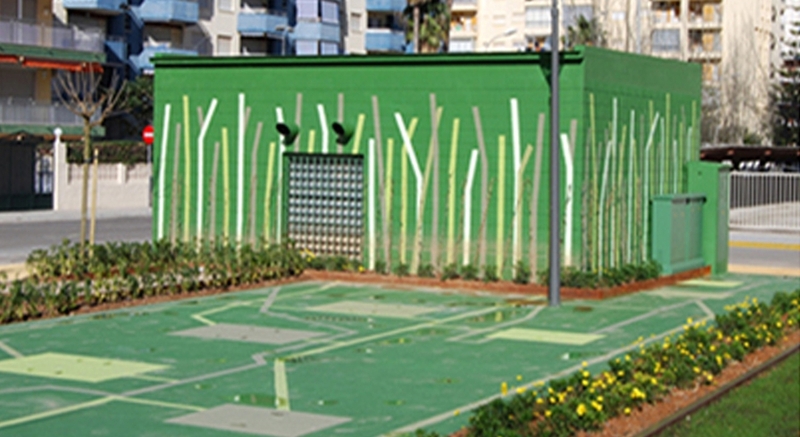 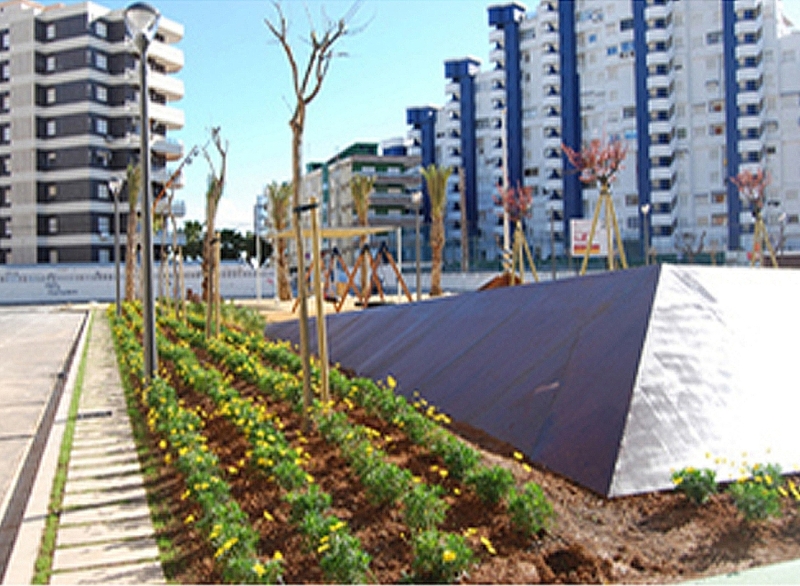 It is an opportunity to place a public space in an very dense urban area, with open air private spaces of a certain quality, but with scarce public spaces, reduced almost to the seafront promenade. 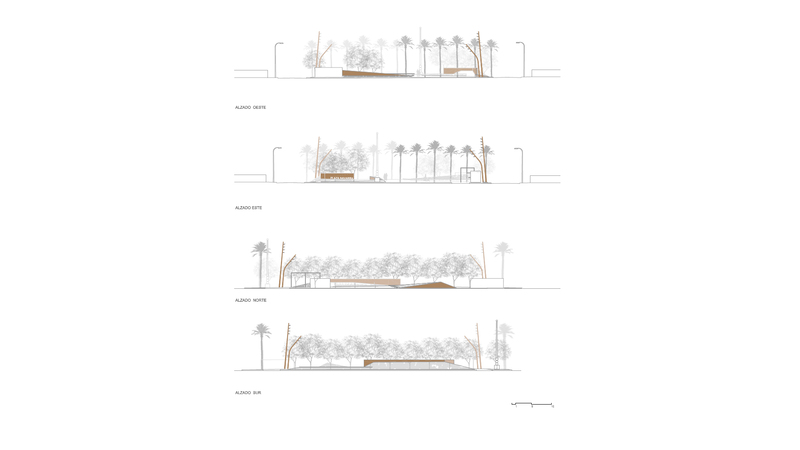 The aim was to create a meeting point with a representative, welcoming design, with vegetation and sheltered from the sea breeze. 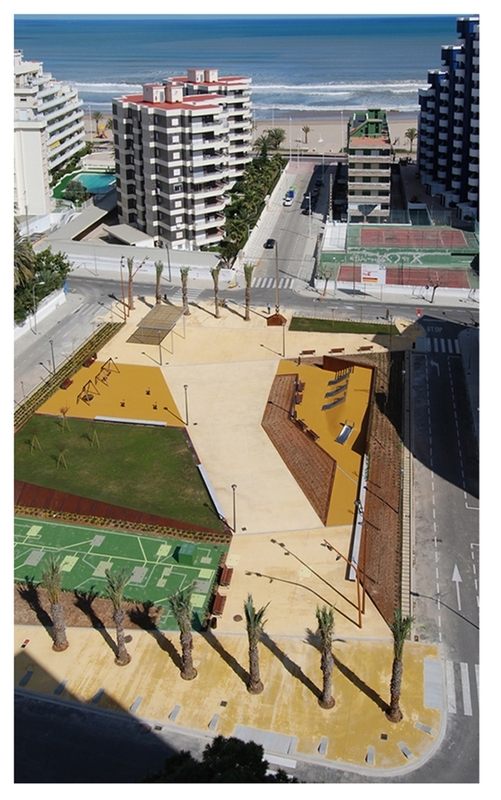 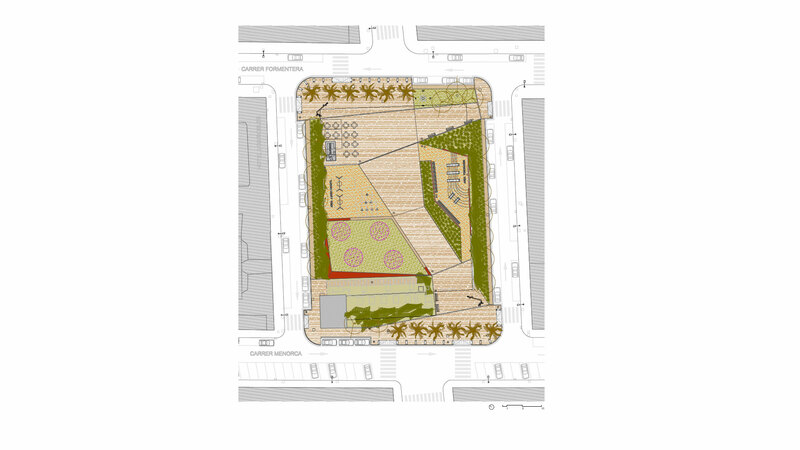 The pedestrian path crosses the center of the square diagonally, leaving two recreation areas on the sides. 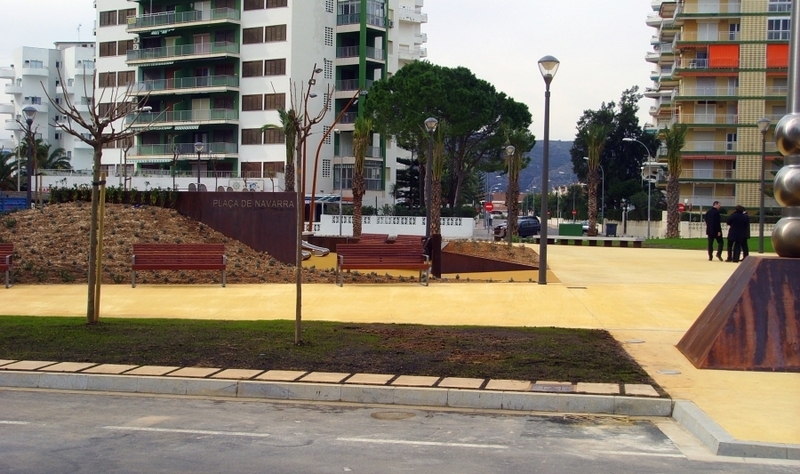 The outer limits of the square, outside of the underground tank’s area, are used for the planting of trees which will provide shade to the square when their foliage is grown: Phoenix palm trees outlining the main entrance, Tipuana Tipu in the linear planters and Morus Alba fruitless, following the alignment of the streets that are parallel to the sea. 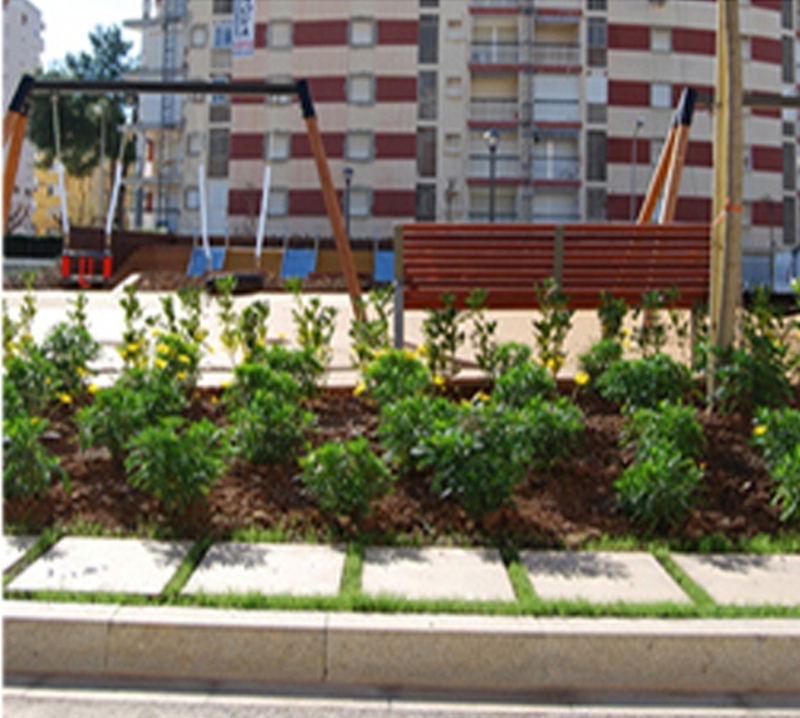 We provide a kiosk and playground areas for children to encourage activity in the square. 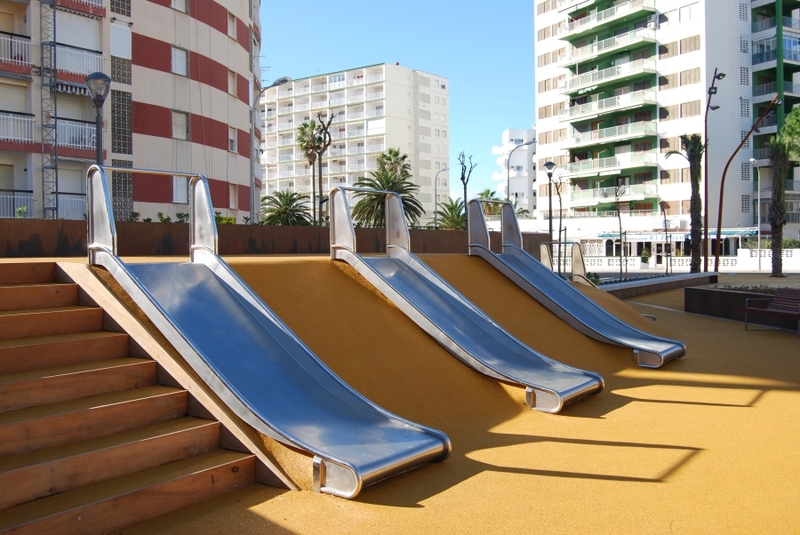 In the rest areas we create an artificial topography with slight slopes inclined by planters and playgrounds with child safety flooring. 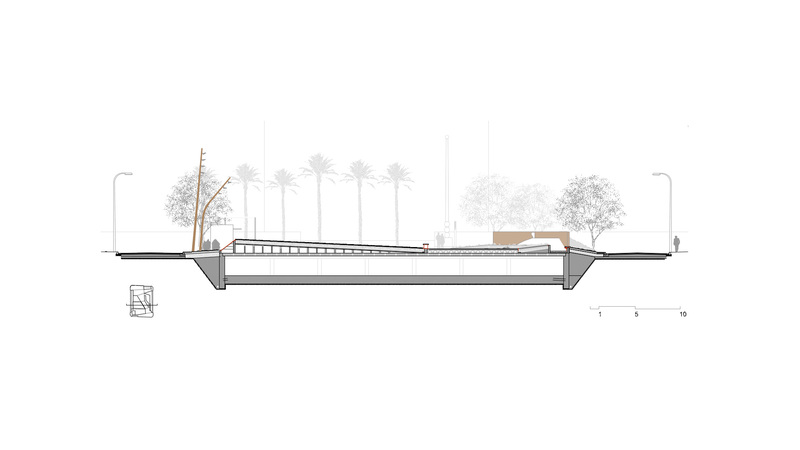 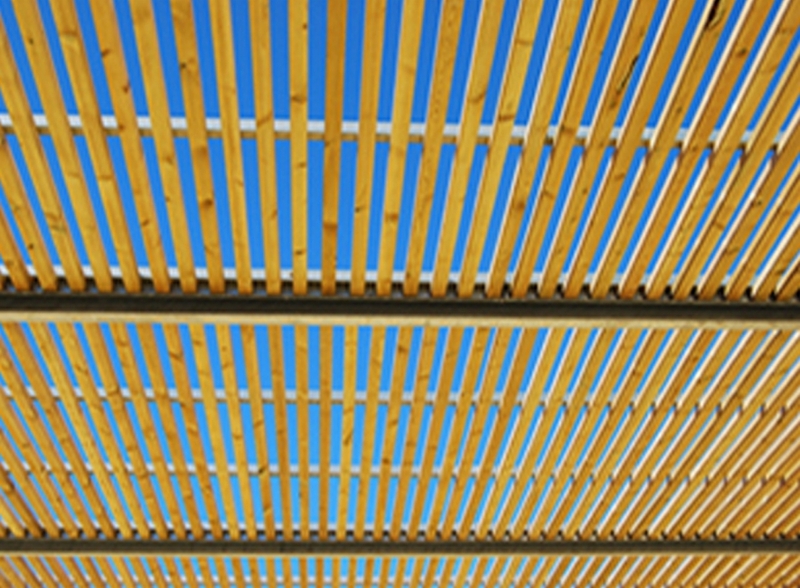 This morphology surrounds the people crossing the main pathway, and through details like the ochre concrete floor and weathering steel, provides a semisoft ambiance that creates an ambiguous space halfway between a square and a park.